For my last day in Berlin my friends, Brian and Renee Burke took me on a whirlwind tour of some of the must-see historical attractions, including Brandenburg Gate, East Side Gallery and the hotel where Michael Jackson dangled his kid out of the window. Ok that wasn’t a highlight, but we did pass it. Ad for photography, I decided to travel light. I carried with me only my Pen F with the 17mm lens. It was a relief after four days of carrying my full kit. So here is today’s (or yesterday’s) image. 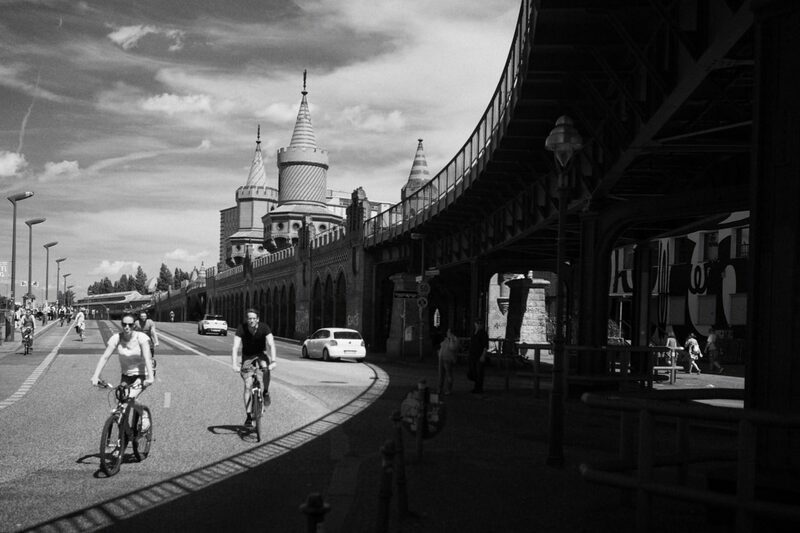 It was taken along a bridge that links East and West Berlin. A bridge tha was unused for the life of the Berlin Wsll.